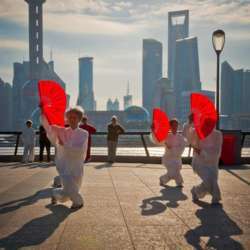 Celebrate Chinese New Year with Tai Chi & Qi Gong! Join us to celebrate the Chinese New Year of the Yin Brown Earth Pig, by practising this wonderful Chinese martial art, whose movements are dynamic but gentle, and whose dedicated practice offers numerous health benefits to the practitioner. This session is open to beginners as well as people with some tai chi experience. It includes a warm-up and the main session. Please wear loose clothes and flat shoes (no need for a mat). - free access to a buffet, consisting of hot drinks, fruits, yogurts, bread and spreads. Free WiFi is available.